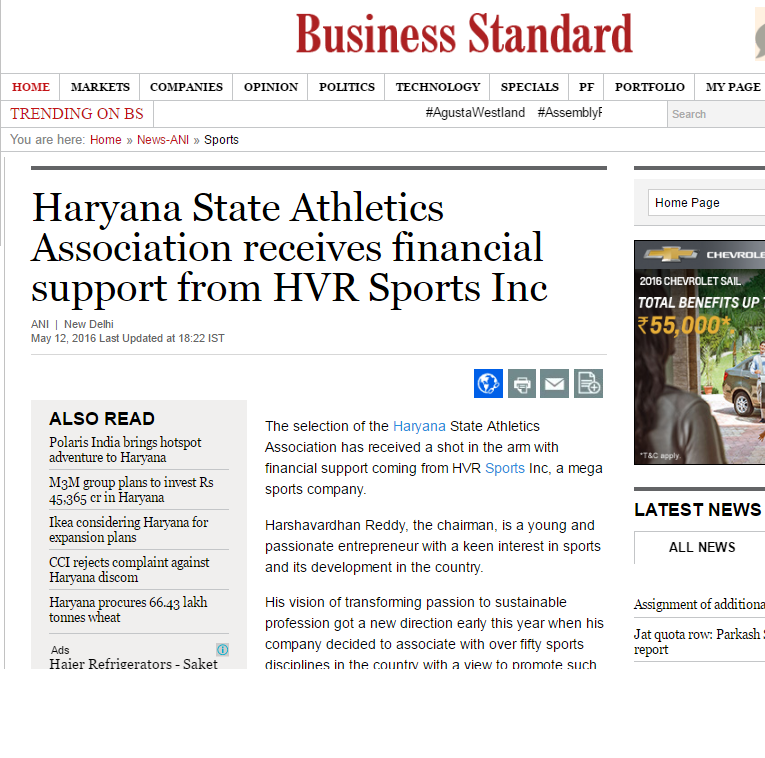 New Delhi, May 12, 2016 : The selection of the Haryana State Athletics Association has received a shot in the arm with financial support coming from HVR Sports Inc, a mega sports company. “We hope there will be large number of athletes from Haryana who not only develop the potential to compete nationally but internationally as well. We also hope that the encouragement and support to athletes will make Haryana one of the top in producing, nurturing and developing a number of sporting talents who will win laurels for the country,” Reddy said.